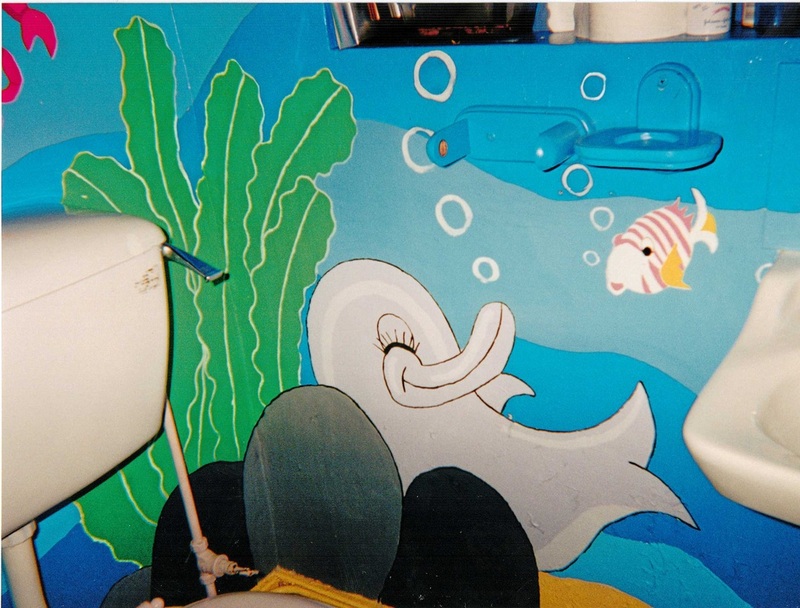 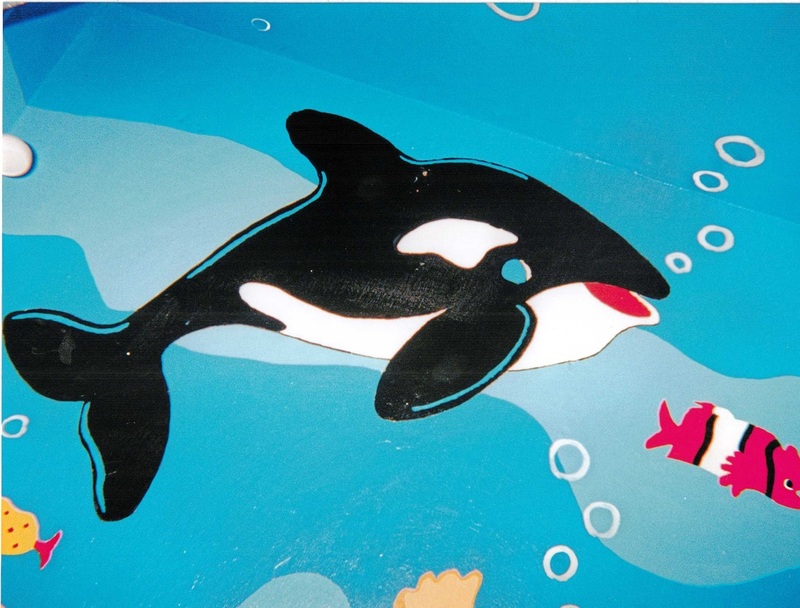 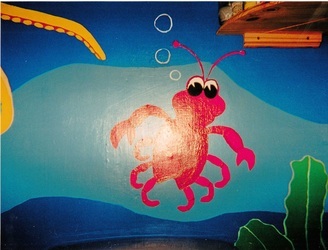 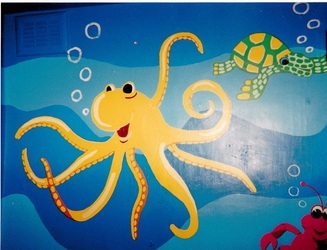 This is an ocean themed child's bathroom. 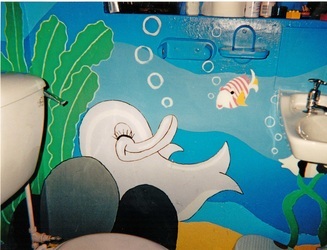 The whole room was covered in our murals, including the door, ceiling and bath panel. 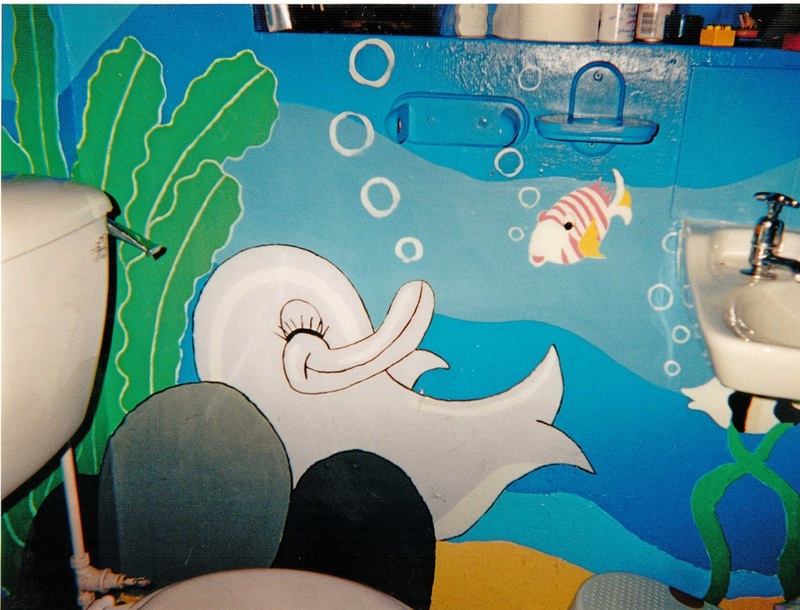 All hand-painted, using vinyl silk paints, for easy maintenance.